Last May, I, GOGO Copywriter Susie, visited Cabo to explore Dreams Los Cabos, Zoëtry Casa del Mar, Secrets Marquis, and Secrets Puerto Los Cabos in four days. It was my first trip to Mexico, my first solo journey, and my first all-inclusive adventure, so I figured I’d share with you some tips to help you navigate your next excursion south of the border. 2. At AM Resorts, no wristbands or reservations are needed at restaurants. Simply walk up to the host’s booth and give your room number. Room service is included, so make sure to take advantage of it. 3. If you’re not finished dining, put your napkin on the chair when visiting the buffet. If you leave it on the table, servers will assume you are finished and clean up your table. 4. Water in Mexico can be dangerous to drink, but many resorts serve you directly from the bottle. If you don’t see your server with a water bottle, fear not! At AM Resorts, your drinks are safe. 5. Sip, Savor, and See is a fantastic opportunity for those staying in Secrets and Zoëtry to experience other AM Resorts and their restaurants. Talk to your travel agent to find out more about this incredible program. Certain Dreams, though family friendly with adult-focused areas, do not have exchange privileges with other resorts. 6. Use a concierge service. AMStar’s guide stayed with our group at all times and facilitated all the tours. Our guide also knew the tour managers, where the bathrooms were in the area, and gave us commentary about the resorts and surrounding areas. 7. Though the hotel’s team was uncertain of the origin, fireworks lit up the Los Cabos sky every night. 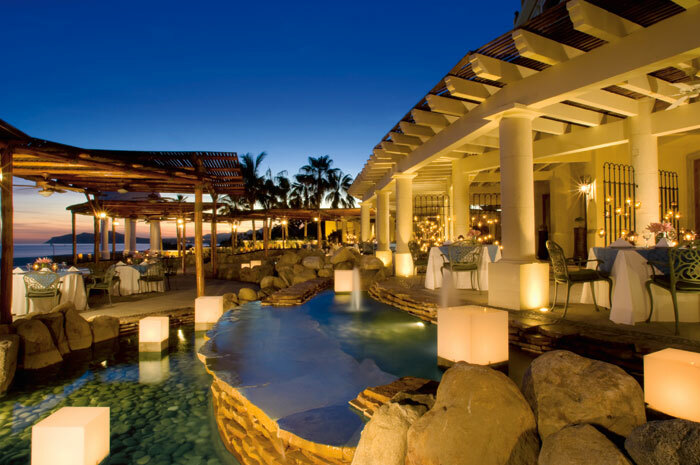 From the Secrets Puerto Los Cabos lobby, sit on immaculate couches around a fire pit and watch the bright display just after dusk. 8. Tipping at all-inclusive resorts is not necessary, but I tipped when I received exceptional service. 9. Cabo has very few swimmable beaches. I was shocked, too, but the incredible undertow makes it impossible to swim on most beaches in the area. Still, there are great activities on the beach at the resorts, and the crystal clear pools are second to none. 10. Know your WiFi. Some of AM Resorts have Unlimited Connectivity®, which allows guests to make dinner reservations, spa appointments, and even international calls without incurring those outrageous fees. It’s not available at all AM Resorts, so check before you go if the speed and strength of your WiFi is important. 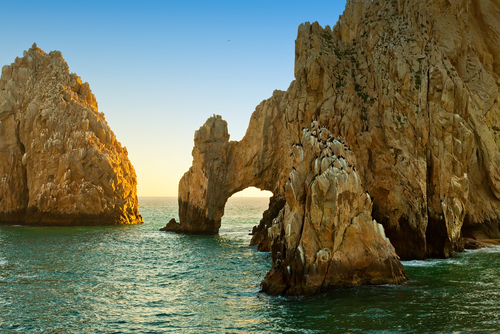 Read the entire account of “On the Go in Cabo” in the latest issue of On the Go!